CivCity: Rome is one of the many city building games that has you recreate the Roman civilization from scratch. 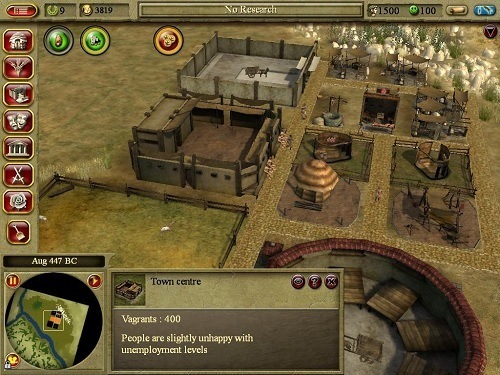 CivCity: Rome is entirely a single player experience and was released in 2006 with 2K Games as its publisher. Just like similar games there is also a hint of the strategy genre in the gameplay. 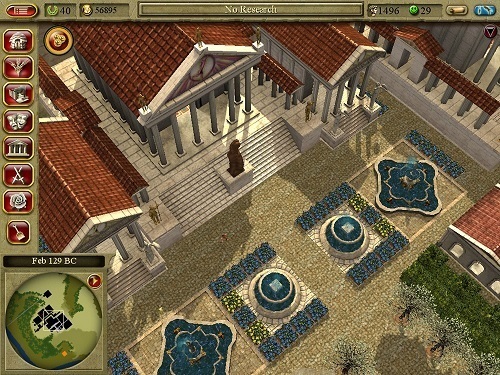 The game combines a number of popular games from the genre such as Caesar, Civilization and Grand Ages. In the game you’ll be given control over a number of cities that belong to the Roman Empire and be put in charge of buildings and the commodities that keep the economy running. You’ve got two options when you load up CivCity: Rome, you can either play the individual missions in a sandbox style environment or take to the campaign missions. In the campaign you’ll start as a simple builder until you prove yourself capable of bigger and greater things. These greater things eventually put you in the presence of great historical figures such as Julius Caesar, which definitely adds to the pressure as you take on huge building roles in the city of Rome. Throughout the campaign mode you’ll also gain ranks to go along with your new found status in the Roman Empire. While the game has a focus on peaceful missions and building during the mid-stages of the game players open up a number of military missions which are easier to complete but come with the risk of invasion. CivCity: Rome definitely isn’t a game short on content with 27 different maps, over 30 missions and well over 100 buildings to populate your city with. Among these buildings are several wonders that are icons of the ancient Roman Empire including The Coliseum, The Pantheon and many other iconic buildings. When you aren’t building your city you’ll be managing wages, food sources, technology, natural disasters and overall city morale. You can even peek into your buildings for an insight into everyday Roman life. Build the ancient city of Rome. Start your journey as a humble builder. Sandbox and campaign modes are available. Packed full of content and a large number of buildings. Historical facts and famous figures within the game.